ANOTHER UNDERVALUED DIAMOND WAITING TO SHINE !! Recently I had spotted this undervalued counter DANCOMECH HOLDINGS BERHAD or DANCO (Code 5276). WHY I THINK THIS STOCK IS UNDERVALUED AND COULD HAVE BIG POTENTIAL TO RISE UP? Let us refer to below image of the latest 3 years quarter reports of DANCO. If one examines closely, we can see that since Nov 2016, revenue has been slowly rising from RM 13 million to latest of RM 22 million. Steadily, we can also notice that EPS has been rising from Aug 2017 from 1.1 cents to 1.5 cents. This proves that the company has been growing consistently for the past 3 years. 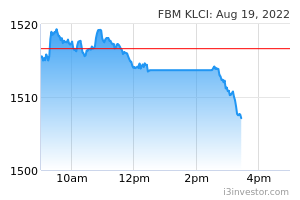 The most absurb thing that I find is that the stock was trading at around 80-88c in May 2017, when the financial performance of the company was not really that superb compared to recent quarters in 2018 and 2019. 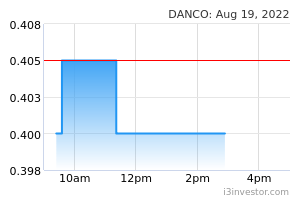 DANCO also has recently declared a 1 cent dividend which ex-date has not yet been announced. We also notice t hat the company has consistently paid dividend about 2 times a year without fail. This might entice long term investors and funds to invest in this counter. Let us refer to the below weekly chart of DANCO, captured from April 2017 to March 2019. as we can see recently it had formed a cup and handle breakout above 60c with significant volume and is now bullish in momentum. As the financials are clearly better than what it was in May 2017 when it was trading at its peak of 88 cents, I see no reason for DANCO not being able to test back this previous historical high and make new highs as the company reports better earnings. Considering all the above, my personal TP for DANCO is RM 1-1.20. I WILL PLACE DANCO INTO MY INVESTMENT PORTFOLIO BEFORE FUNDS START BUYING INTO IT. The above opinion is not a BUY CALL but only sharing my observations. tehka Bursamaster is a good and reputable sifu. I listen to you.